When drivers fail to obey traffic signs, it can have tragic consequences. Not only do they put themselves at risk. Other drivers, passengers, and even pedestrians can be seriously injured. Unfortunately, though stops signs are among the most common and clearest traffic signals, they are also one of the most frequently ignored. Far too often, harried drivers disregard them or do not yield properly at an intersection. Gary A. Zucker & Associates, P.C., handle cases involving auto accidents and stop signs. Our Brooklyn, NY firm is renowned for our skill with personal injury lawsuits, having obtained millions of dollars for our clients. We will extend the same hard-hitting approach to you and your loved ones, helping you to obtain the compensation you deserve. As in the rest of the United States, stop signs laws in New York are straightforward. Drivers must come to a complete stop before the white line, if there is one present. If there is no line, they must cease moving before they enter the crosswalk. When neither of these are present, they must come to a standstill before they enter the intersection at a point where they can still see the cross traffic. There are two primary kinds of stop-sign accidents. Failure-to-stop incidents are the most straightforward. They involve one driver who blatantly disregards the sign and never comes to a halt. During failure-to-yield accidents, both drivers stop, but one does not yield to the other who has the legal right of way. The National Highway Transportation Safety Administration (NHTSA) reports that most failure-to-yield accidents involve vehicles turning left and being struck by an oncoming car. Between 1997 and 2004, collisions at intersections accounted for slightly more than 20 percent of all traffic fatalities each year. There were an average of 2,967 fatalities each year due to stop sign accidents. About 45 percent were failure-to-obey crashes, and 48 percent were failure-to-yield incidents. Older drivers are more likely to be involved in stop sign collisions. They are particularly prone to failure-to-yield accidents. 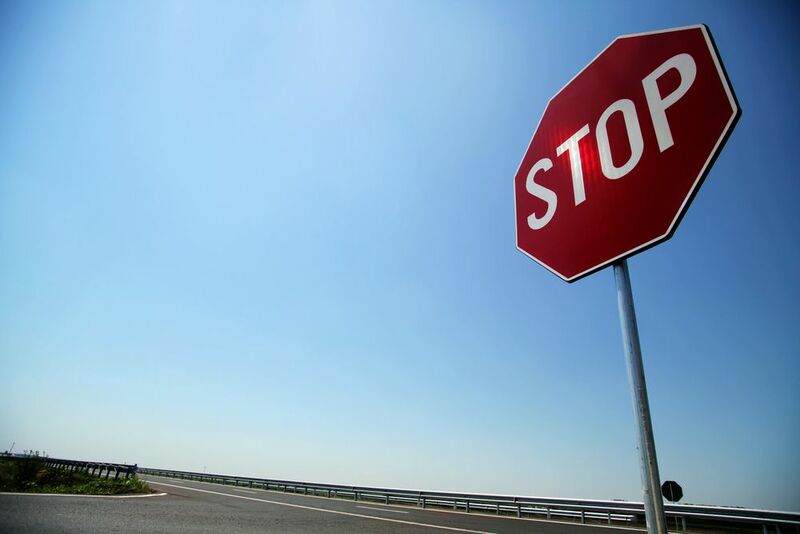 A little over half of all stop sign car accidents occurred on roads with a speed limit of 55 mph or above. How Can Gary A. Zucker & Associates Help You? If you were involved in a stop sign car accident, whether failure-to-stop or failure-to-yield, you may have suffered devastating injuries and significant property damage. Your pain or decreased agility may have affected your ability to work, adding to the financial strain of medical bills and other costs. In these instances, you may be entitled to significant compensation. Sadly, your insurance company may deny you the full amount of funds that you deserve. Following a detailed case evaluation, we can determine what happened and who was responsible for the accident. Then we will fight through negotiation or a court case, if necessary, to obtain justice for you and your family. If you have been involved in an accident involving a driver who ran or failed to yield at a stop sign, we are ready with our experienced and untiring assistance. Contact our firm today to find out if you have a viable lawsuit during a free case evaluation.